Are you losing ground each year? Need some more usable space in your landscape? Would you like your landscape to be more on the level? Consider a natural rock or manufactured stone retaining wall for aesthetics and functionality! We have natural Basalt strains that are locally available. It works great for natural stone retaining walls. This Basalt stone (top photo on the right) was mortared together for additional stability. 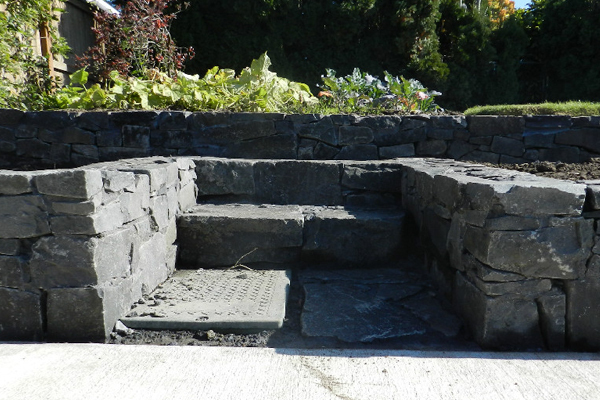 An example (third photo) of using natural stone in a retaining wall application. 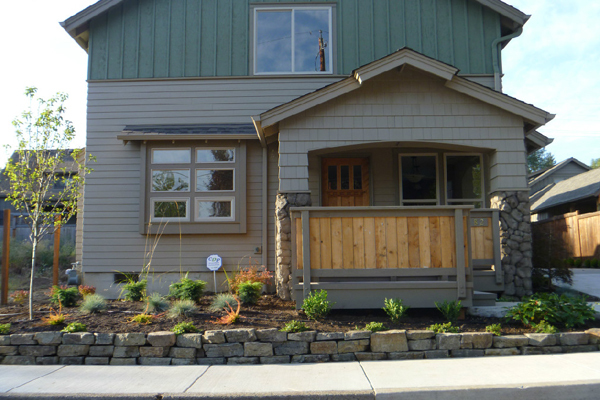 From Mollala stone, to Idaho ledge stone, to Willamette Valley Basalt, and many more, we are blessed to have a myriad of choices in natural stone available locally. We are sure we can find one that fits your taste and style! Not only are manufactured retaining wall systems (lowest photo on the right) one of the best ways to approach structural retaining requirements, but they can be aesthetically appealing also. The Highland retaining wall system is available in 6 different sizes to allow for a more natural feeling retaining wall. 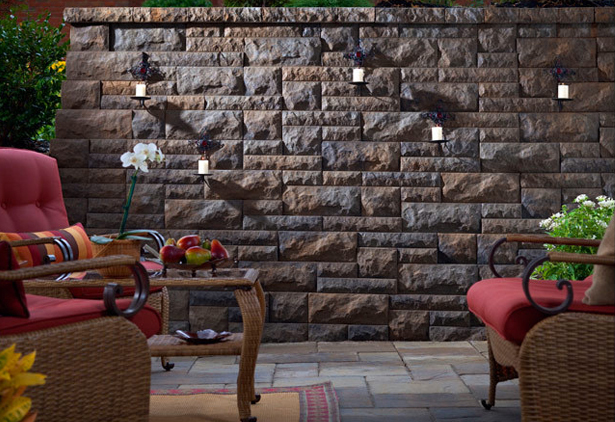 The Bel-air wall by Belgard is one of the most beautiful retaining wall systems out on the market today. It can be special ordered into our local area with appropriate lead time. 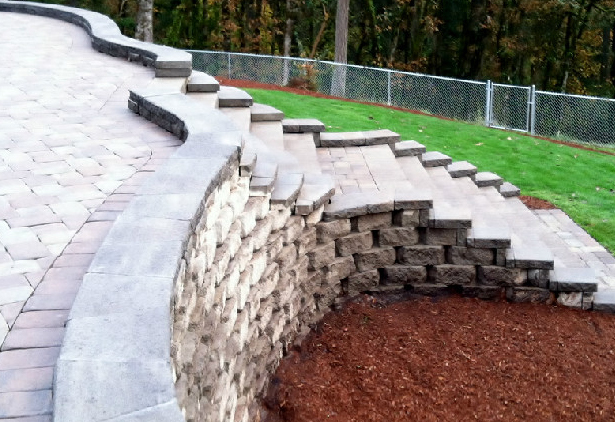 Have you ever sat around wishing that your retaining wall project could come with a warranty? We thought so! And since we believe in our skills, education, and experience so strongly we have instituted industry-leading warranties on all of our hardscape projects!